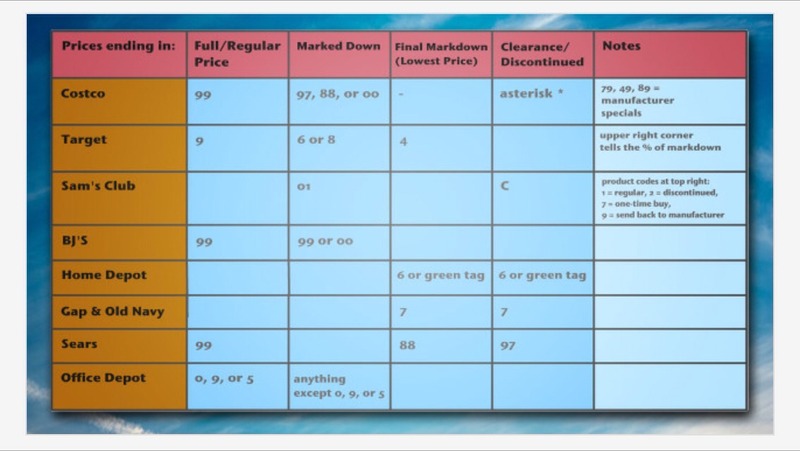 Understanding Their Pricing... Know The Secret Price Codes At Major Retailers! A Must See! Rule of thumb: If the price ends in anything other than .99 it is currently being marked down.